India celebrates her 68th year of freedom from 1,200 years of slavery, plunder, racism, genocide and religious apartheid on August 15th. I am not sure who wrote these lovely lines…but they certainly apply to my motherland ….India. It is one of those rare and unusual historical miracles, where a enslaved and plundered nation has managed to come through more than a millennium of such genocidal hell fire to forge a nation based on secular and democratic values. Such is the strength of our ancient heritage, scriptures, culture and inheritance. Our collective prayers for the Nation. 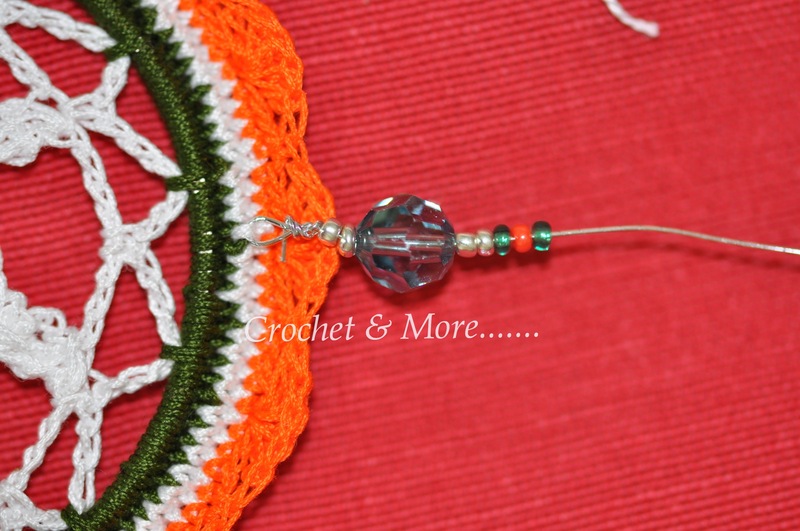 So what does a patriotic Indian crocheter do to celebrate 67 years of freedom…..Crochet of course…:-D!!! 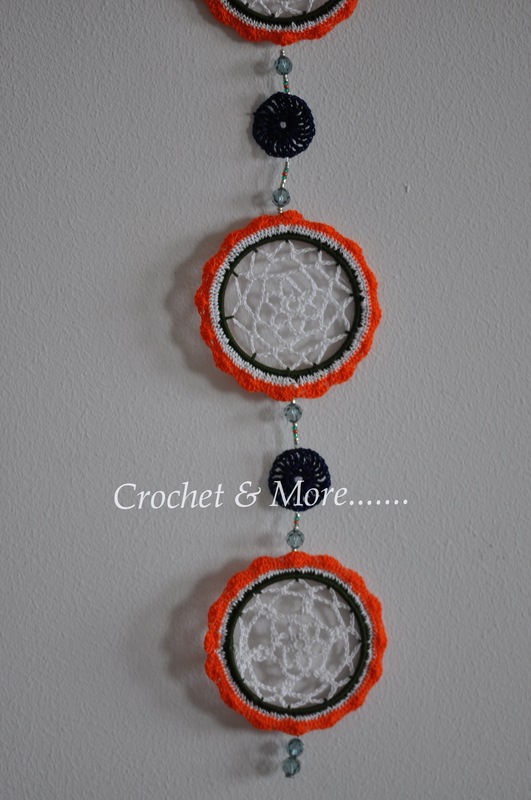 But this time with the national colours…Saffron, White and Green with the Ashoka Chakra ‘s Navy Blue. Here are a few patriotic pieces that I have done to celebrate this momentous occasion……. Make a magic ring with 12 scs; ss. *5ch, sk sc, sc in next sc; *(4); 2 ch , 1dc into second chain of the starting 5 chain. 3 chain, 2dc leaving the final loop on the hook each time, then pull the yarn thru all the 3 loops making a popcorn stitch, 7 ch; *popcorn in the next 5 chain loop, 7chain*(4) The final 7 chain should be 3 chain and 1dc. *1 sc on popcorn, 5 chain,1 sc in 7 ch loop 5ch 1 sc in popcorn*(5) ss in first sc. 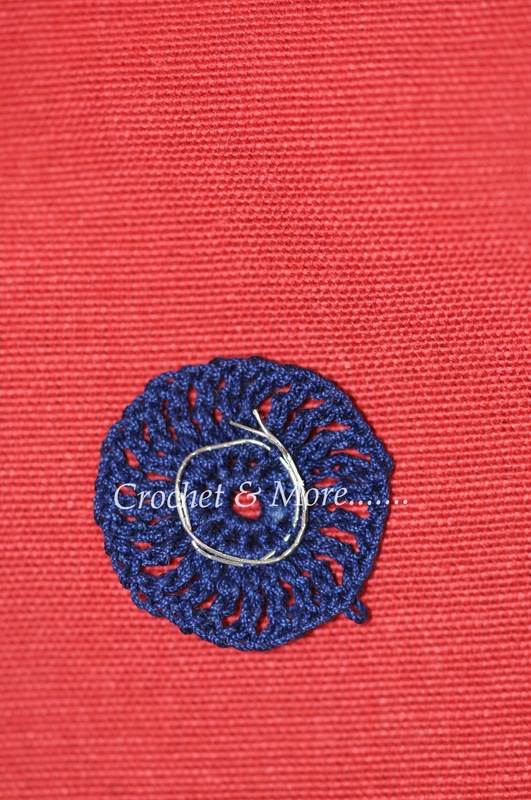 You are now done making the centre of the motif. 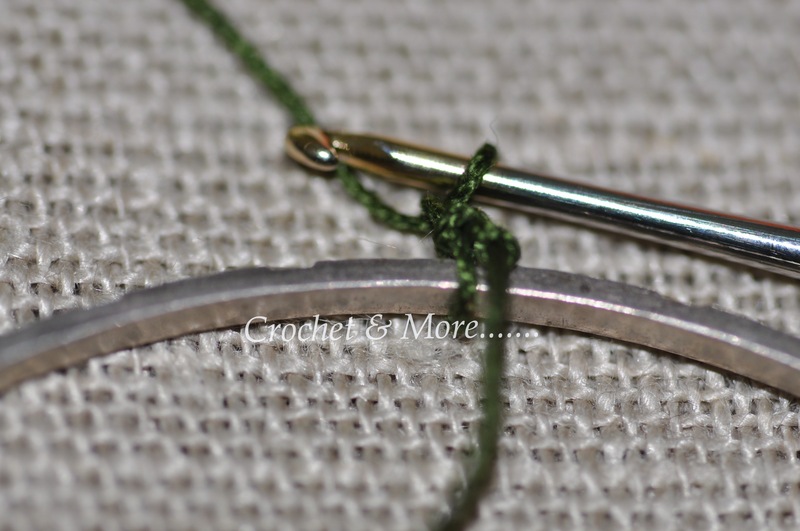 the second part is fixing the motif into the centre of the bangle and covering the bangle with scs. I have done a photo tutorial for this one cos I think that would be more easier to understand. Hook 16 shells around the white sc border. 1sc in the first sc; *sk 3 scs; 5 dc in next sc; sk 3 ch; 1sc* repeat ** until round is complete. ss in first sc. 5ch, trcr in first chain, *ch 1 trcr in the first ch*(22), total 24 spokes. 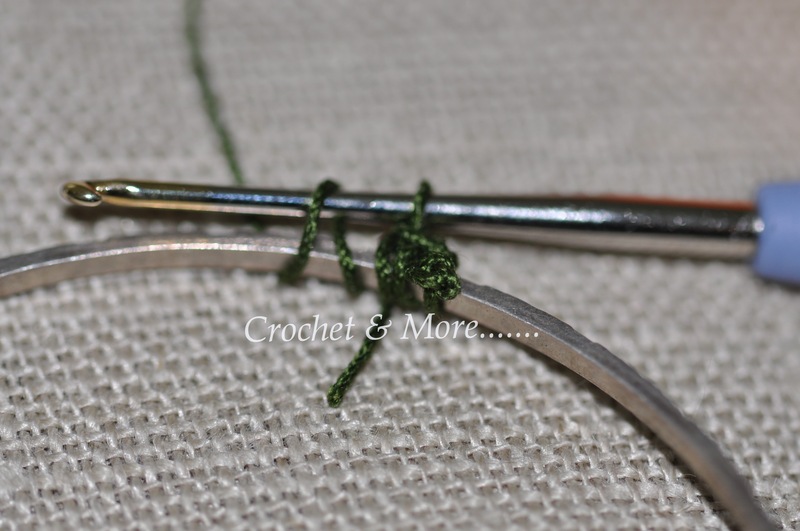 Using the flexible wire, make a loop…… thread in the beads….. 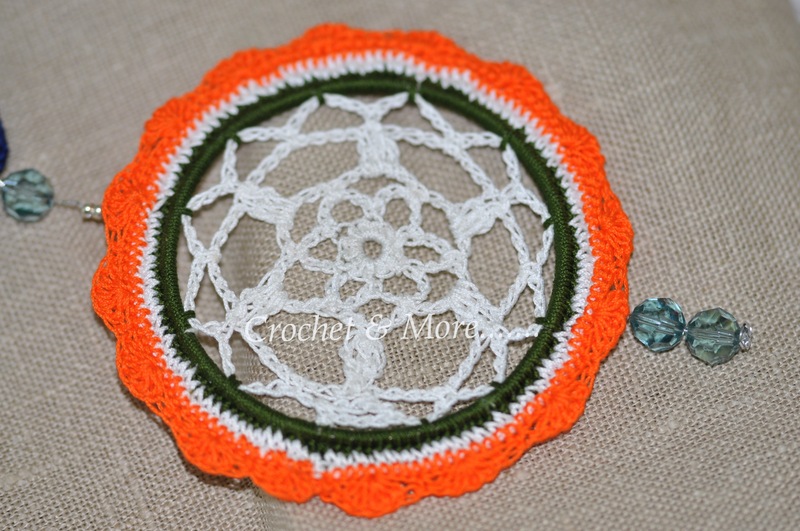 The Ashoka Chakra hooked in with #20 is very delicate so to take the weight of the bangles off it….I fortified the centre in the wrong side of the Chakra into a circle and wound the flexible wire around this fortified centre then continued beading adding Bangle motifs and Ashoka chakra as I went along. 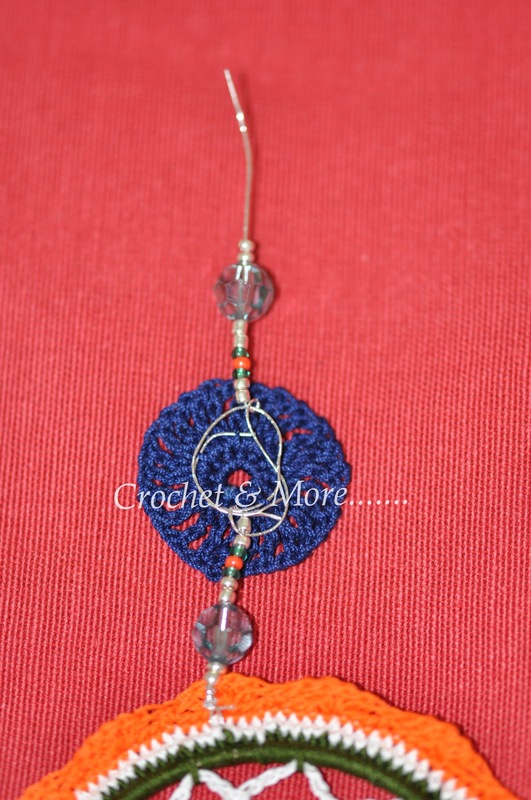 Thread in 2 big crystal beads in the middle shell of the 3rd bangle motif. 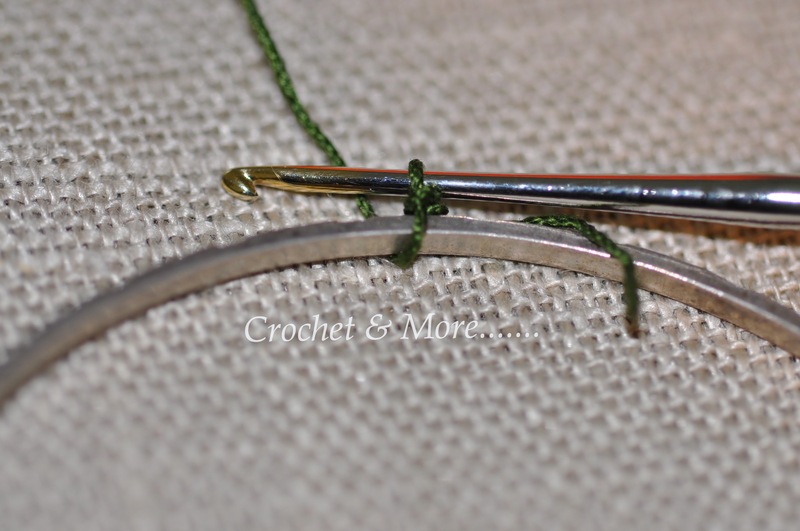 And made a sc hook hanger attached to the first bangle motif. 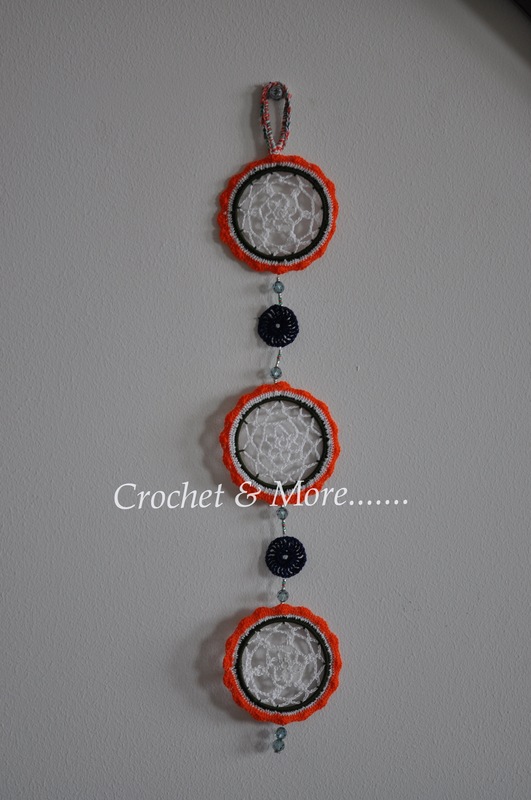 To make the hook hanger…..I used 3 colours of thread, together….a variegated orange, variegated green and a white #20…used a 1.75 hook with this one and chain in as many stitches as you wish it to be. 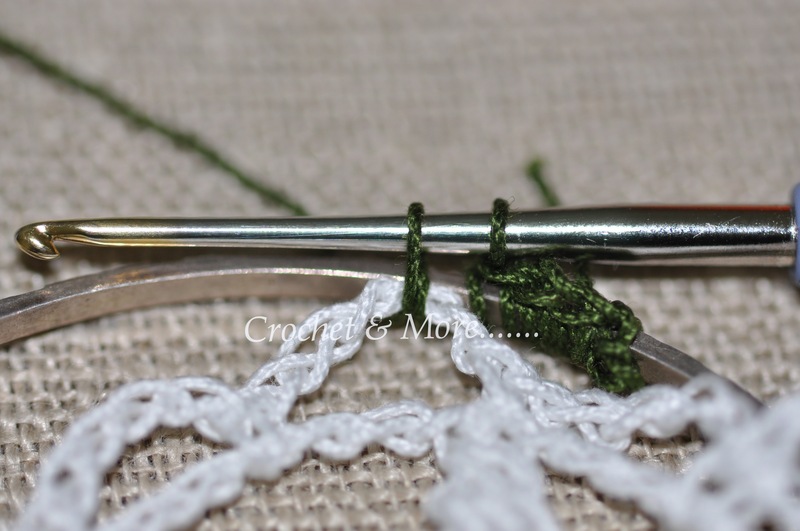 Then fold and attach both ends together with a ss and to the back of the first bangle motif. 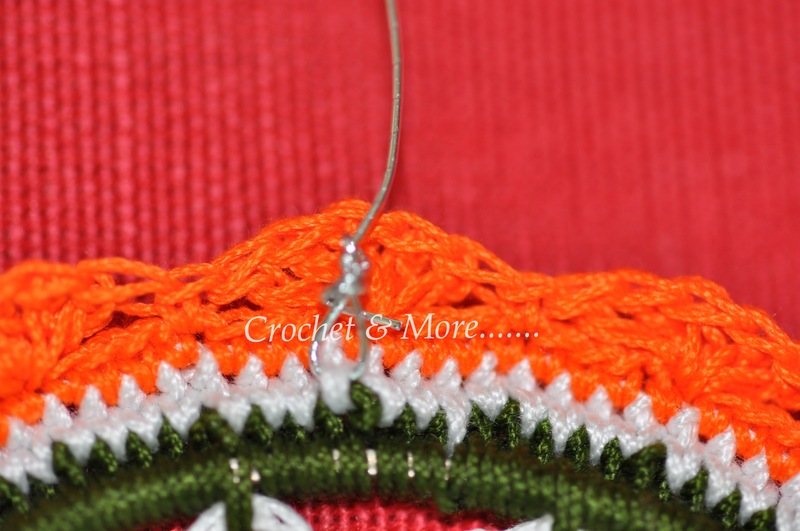 Then hook in scs covering the chain completely. when done cut away the yarn and tuck in all excess. And your first Freedom Project is done…..:-D!!!! 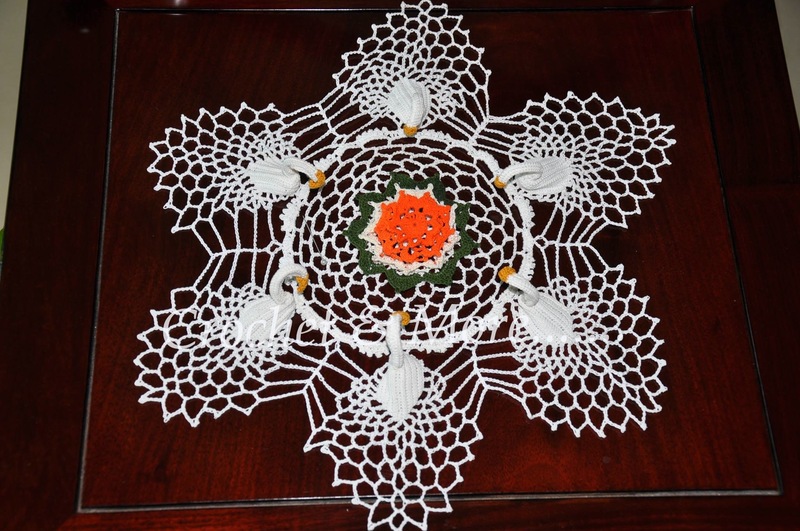 Here is the link to the pattern for this 6 swan Doily….. 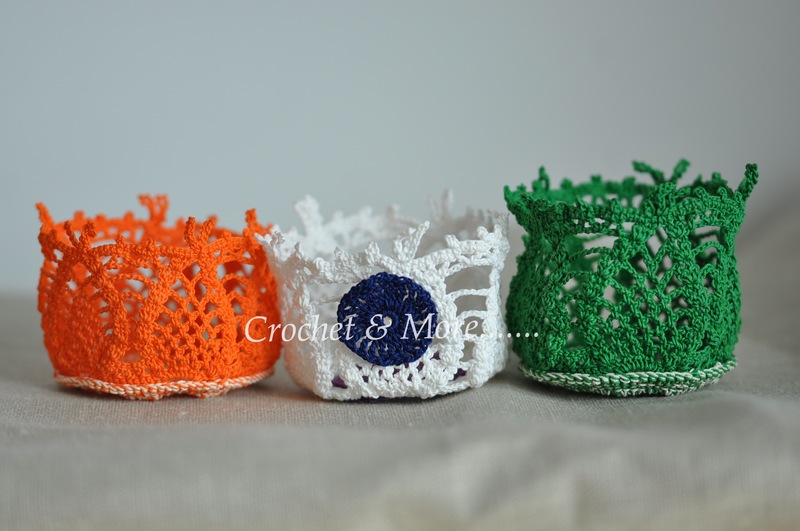 The flower in the middle…..you can download the pattern of any 3 layer flower and give each layer the colour of the tricolour. 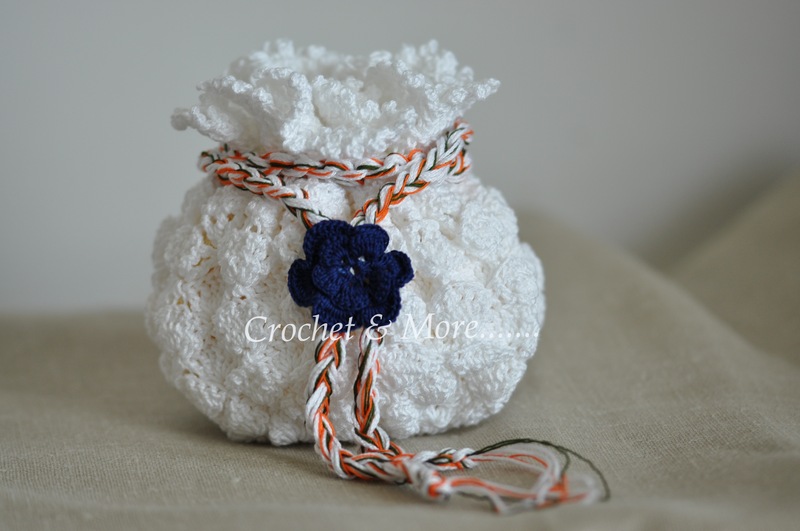 Here is the link to this lovely Drawstring Bag….. 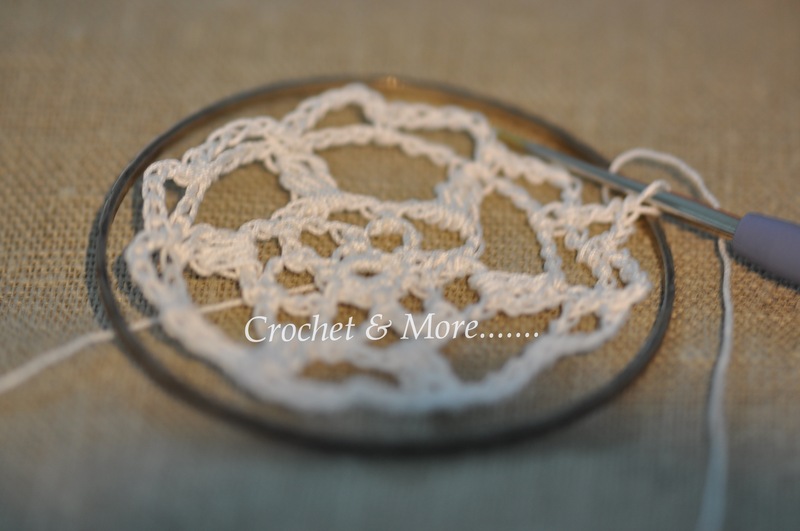 I do hope you find these patterns easy to do….The first pattern the Wall Dangler is mine and it hasn’t been tested so in case you are doing this one and find a mistake or that I have left off explaining some point do leave ur comment here …Thanks…:-D!!!! !